Comfortable private car service with ample room in a full size sedan for a relaxing ride. Full-size SUV holds up to seven passengers with ample leg room. Great for business or pleasure. 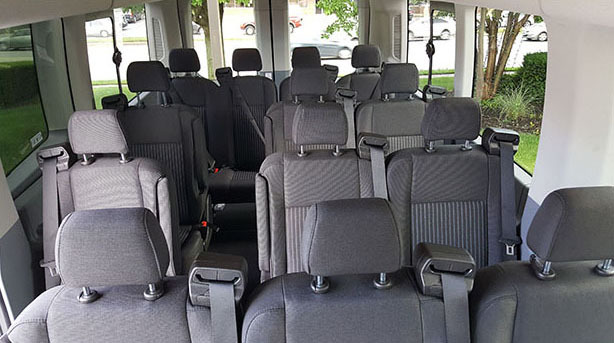 Our Ford Transit transports small to mid-size groups. Luxury and comfort with plenty of room for luggage. Great for corporate groups or a wedding party. Getting to an airport can be a stressful time – let us get you there on time, worry-free. And isn’t it a great feeling arriving back at your hometown airport knowing a ride is waiting for you. Your wedding day should be one of the most important days of your life. Let us take care of your transportation needs whether it’s just for the bride and groom, your wedding party, or shuttling guests from their hotels to the venue.